Colleen Maheswaran is a Certified Professional Midwife, Certified Lactation Counselor, Childbirth Educator and mother of two. She has assisted over 700 births and educated thousands of families in her seventeen years of experience. Her experience ranges from working as a midwife in a bustling birth center in Miami fl and as an early intervention specialist for a state funded program helping teen moms, to working in a busy hospital in Massachusetts making rounds on the postpartum floor.During her years with Healthy Start, Colleen was skillfully trained on topics including postpartum depression/anxiety, car seat safety, SIDS, developmental touch points, and many more. Colleen also holds a certification in Neonatal Resuscitation (NRP), and infant/adult CPR. 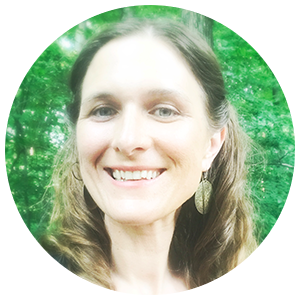 In her free time, Colleen is actively involved in her Community and hosts a weekly free forest school session, maintains close involvement with her child's elementary PTO, and loves talking long hikes when time allows. Working with mothers and babies is more than a job for Colleen it is truly her Calling.